I’m Jeff Erekson, a young pilot who got the flying bug as a teenager. I jumped into the right seat of a two place ultralight trainer when I was 13 years old in the mid-90’s. This was the very popular Quicksilver Sprint MXII. 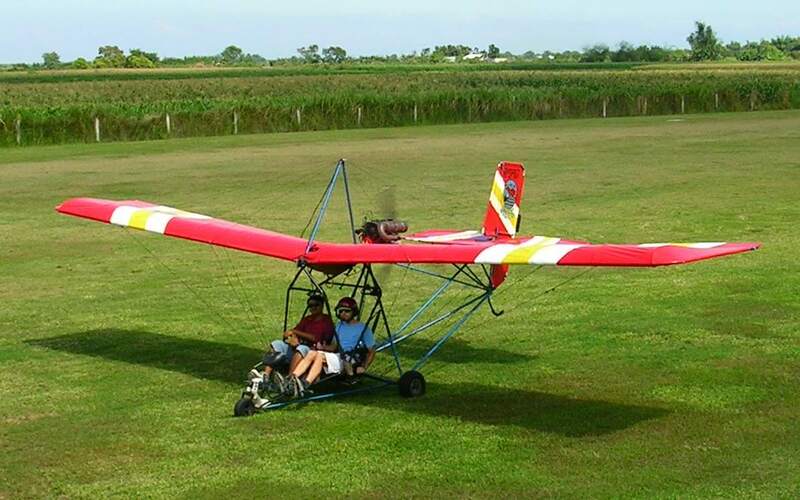 It was specifically designed as an ultralight trainer, often referred to as the “J3 Cub” of ultralight trainers. 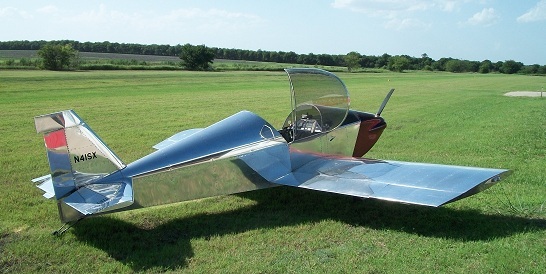 Ultralight pilots often use it as a reference point concerning how an ultralight flies. I had a hard time finding an instructor willing to teach a young kid, so I really didn’t learn to fly until I was 15 in the same type of airplane, and soloed a few days after turning 16. About 6 months before I finished flight training I convinced my parents to let me buy an ultralight. My dad wrote a credit card check for $2,500 for a used 1983 single place, twin engine ultralight, called a Lazair series II. I spent the next 3 years paying down that $2,500 meeting my parents credit card bill along with paying hanger rent and upkeep expenses. I did all of this while working a part-time job. So yes you can fly cheaply with ultralights! This turned out to be the best ultralight I could have flown. The twin engines offered safety, and the Lazair is easily the most well designed ultralights ever. It was well ahead of its time. I was lucky enough to fly this airplane all through highschool. This plane had a unique landing gear setup with two tail wheels, and one nose wheel. The nose wheel was actually made of plastic and simply there to keep you from nosing over and digging into the dirt. However, it didn’t act like anything else. It was easier than both a tail dragger and a typical nosewheel airplane. On this model the tail wheels didn’t castor so you really couldn’t ground loop. It actually took full forward stick in a high speed taxi to get the nose wheel to even touch. You taxied around with the tail up. Only when you were going super slow, say between hangers, was the tail on the ground. You can see more info about this airplane at my other website, www.lazairinfo.com – I put 110 hours on the plane before I sold it when I left for college. Here I am at 17 years old landing at the Arlington EAA fly-in back in July of 2000. Throughout college I pretty much stayed out of flying. I had plans of starting up a flight instruction program and teaching ultralights, but that plan never came to pass. And unfortunately this was when the FAA phased out the 2-place ultralight training exemption. It wasn’t until I was out of college, and working my first real job with a new wife and daughter, that I finally got back into flying. Up to this point I was only an “ultralight pilot” which is technically an un-rated, un-registered pilot. My hours didn’t count for anything, and I legally couldn’t fly anything besides a single place ultralight. By this time the Sport Pilot rules had been created by the FAA and the new light sport aircraft were on the market. I was now in the Dallas, Texas area and got in with Four Winds Aviation. They had a new AL3 Legend Cub, N102PJ. This is basically an updated copy of the vintage J3 Cub from the 30’s and 40’s but made with modern materials. It’s also significantly faster and can also fly 10 mph slower. It has the larger 100 hp engine, wider cabin, stronger airframe, updated avionics, and tons of upgrades. I spent roughly 25 hours with them meeting the minimum flying requirements and preparing for the practical exam to become a Sport Pilot. After I passed, I spent a lot of time renting their Legend Cub and just having a great time. It wasn’t too long before I was yearning to have my own plane. However, owning an airplane is bit cost prohibitive for a young guy fresh out of college with a new family. Initially I bought a tail wheel ultralight, called a Minimax. The photo below is of me taxing it out after a local EAA Fly-in. The minimax was a very easy and stable airplane to fly. 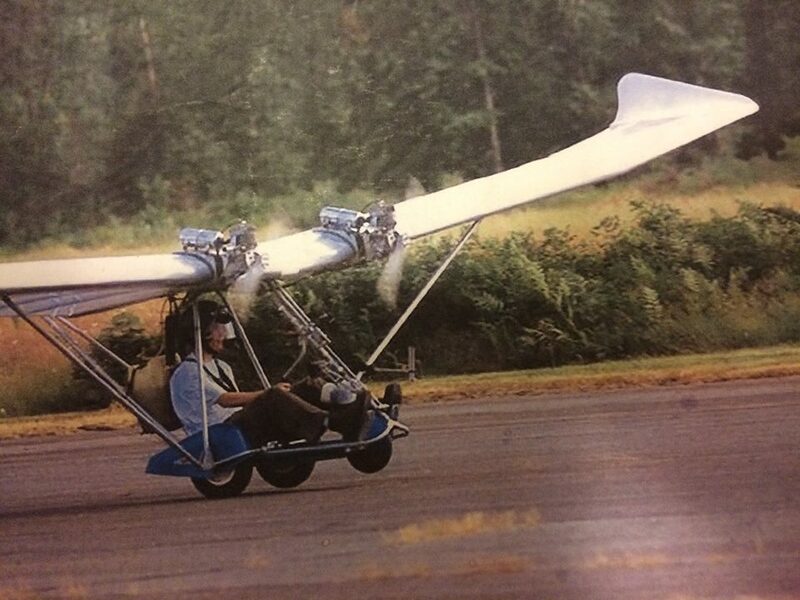 Unfortunately, it was built 100 lbs over weight (significant for ultralights) and under powered. I sold the airplane after only putting a few hours on it. Then my family and I moved up to Connecticut. I decided it was time to pursue my CFI-SP so I aggressively pursued this and finally finished up early in 2013. 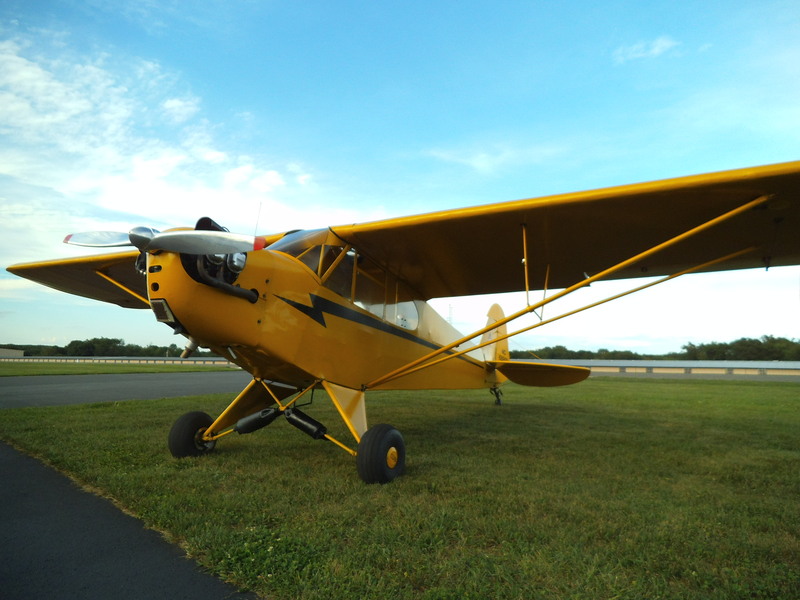 Now I teach out at Chester airport here in Connecticut using a 1946 J3 Cub, N68952.